Sat in the middle of a dusty field surrounded by friends, hippy strangers nice enough to share their wine with you, and men with glittery beards. 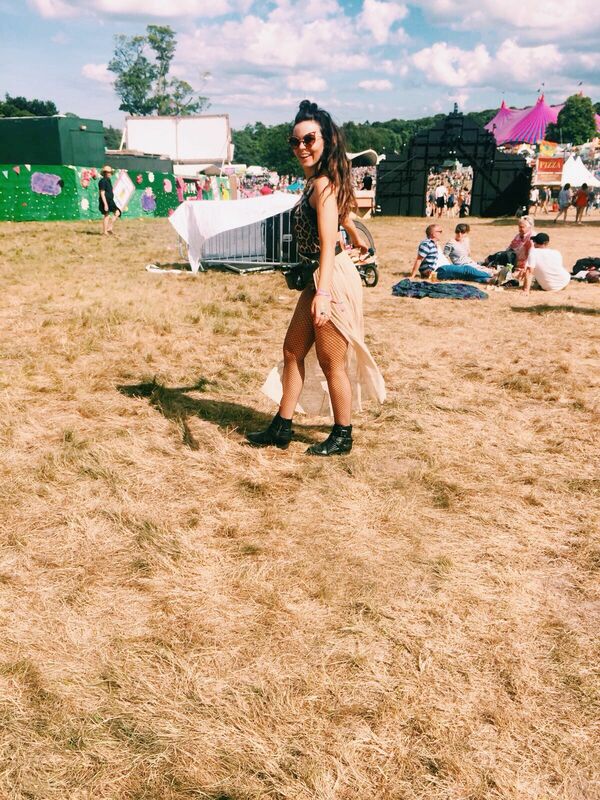 I was quite possibly the happiest person sat in that field at Latitude Festival earlier this month because being there was such a huge deal for me. 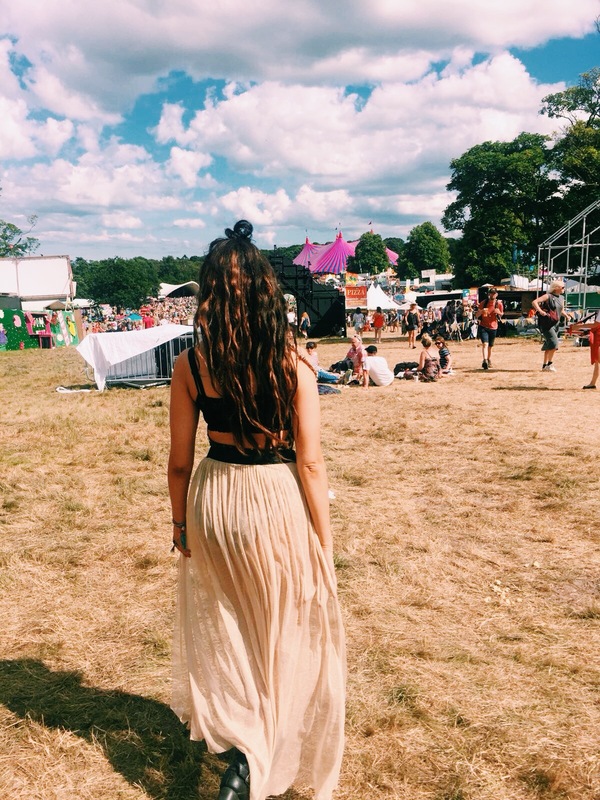 After I suffered with my illness, when I could no longer walk and was looking at spending the rest of my life that way, I thought I would never ever be able to attend a festival ever again. But going to a festival was the one thing I always said I would never let go of and never give up on so as I was stood there right in the midst of it all, with the bass of the music thumping against my heart, my friends all gathered around me, and my little feet dancing beneath me, my glitter covered face really was the happiest of them all. Of course I couldn't not share what I chose to wear. Keeping it comfortable and simple with jeans and a statement bead top on day one, and day two going for a leopard print bodysuit, fishnets, and mesh skirt. My favourite cat eye sunglasses were out in full force all weekend, and of course, the not so stylish but essential bum bag. Also, be sure to pack your rain macs, we are festivaling in England afterall. 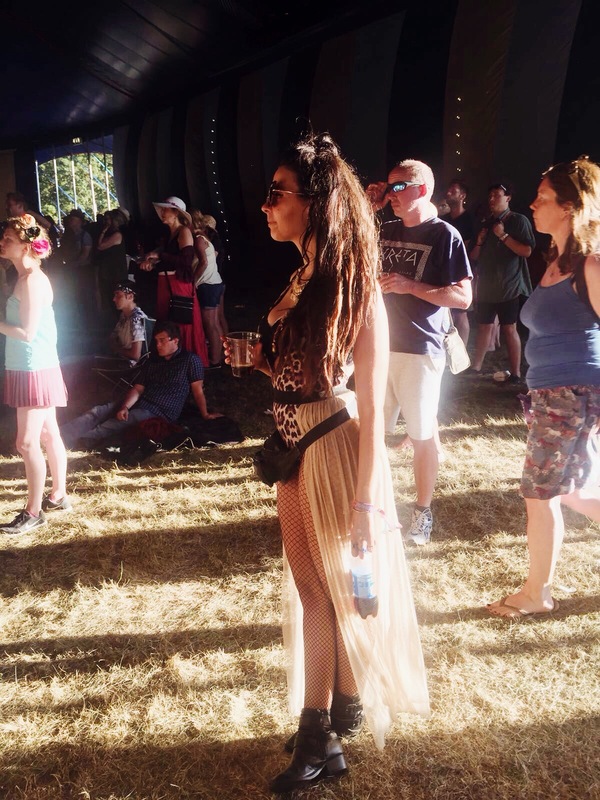 Latitude is a festival located in Suffolk. 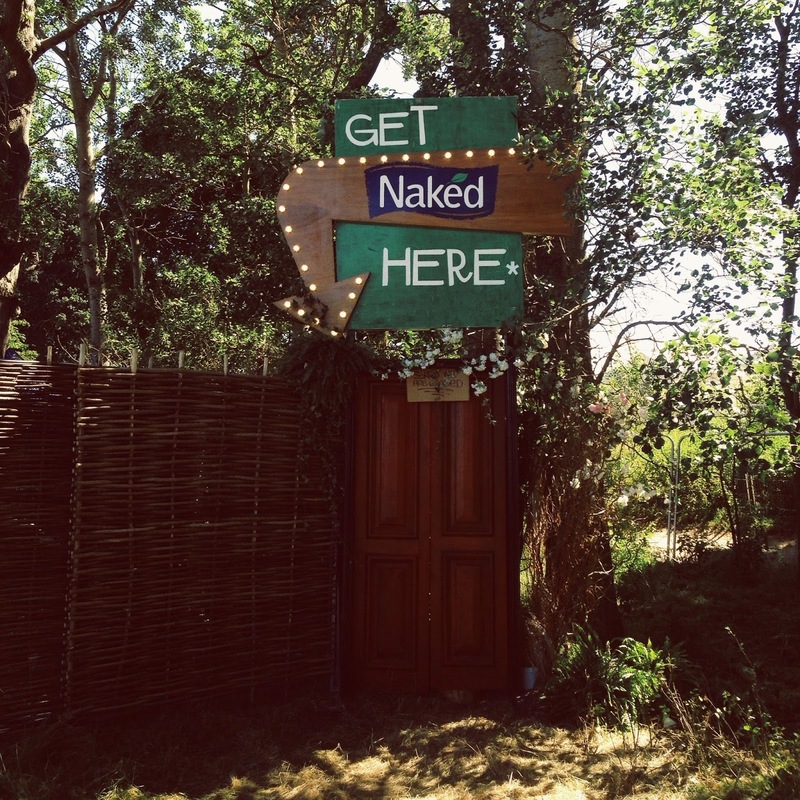 Surrounded by water and beautiful woodland it's more than just a music festival, it's an everything festival. 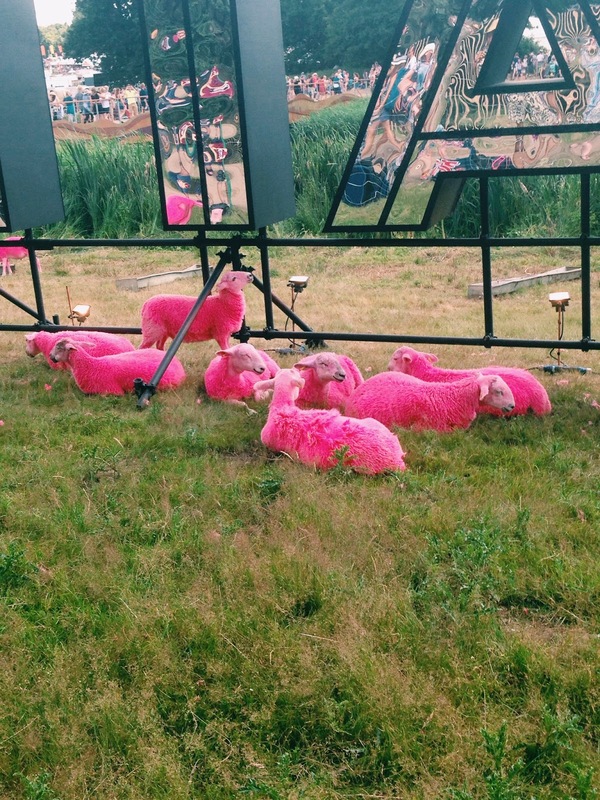 Pink sheep, enchanted woods, lake swimming, and a great lineup of music, comedy, arts, culture, and so much more year after year it makes it a festival I would definitely recommend anyone to attend, not just those that live nearby. 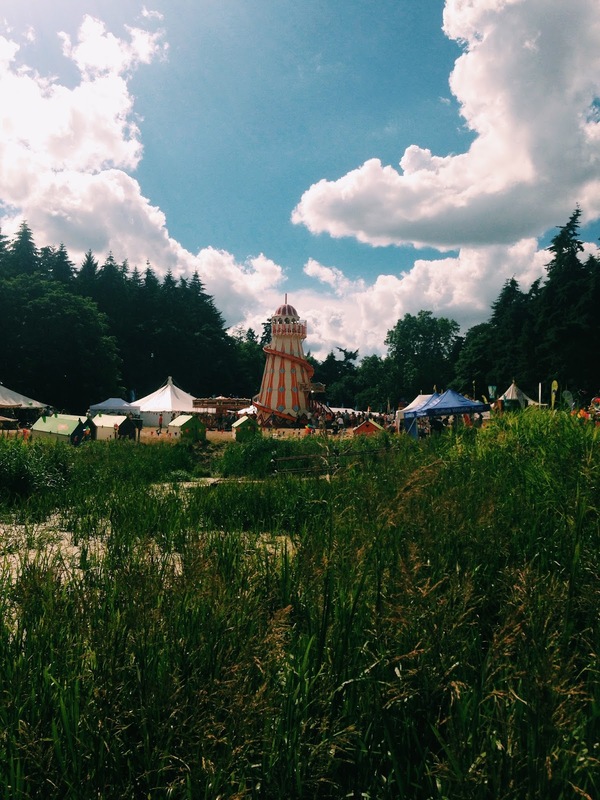 Latitude Festival is cute and full of character, it's clean, family friendly, adult friendly, laid back, and fun. 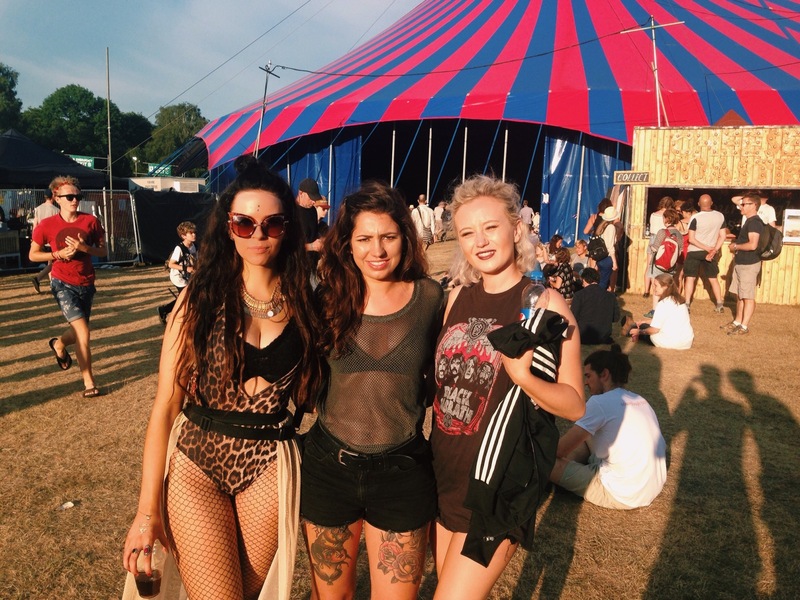 Latitude is a great place to spend time with your friends and the best place to be to make new friends. It's a great place to get drunk. A great place to fall over in the mud because there will always be someone willing to fall over with you. It's a great place to kiss strangers. 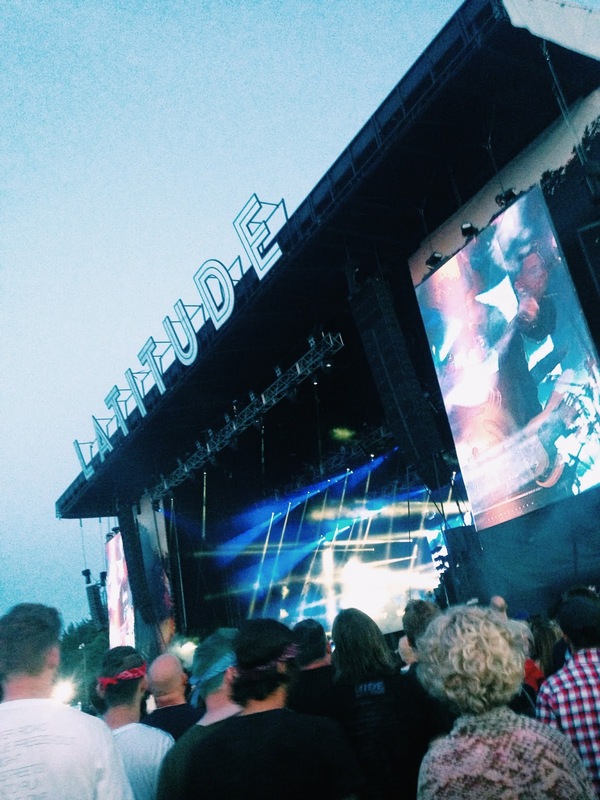 A great place to watch your favourite bands, and a great place to discover new ones. It's a great place to get rained on and soaked wet through. A great place to throw some serious shapes in a tent full of bubbles. It's a great place to sing so loud that you lose your voice. A great place to forget who you are and just be free and happy and possibly naked. 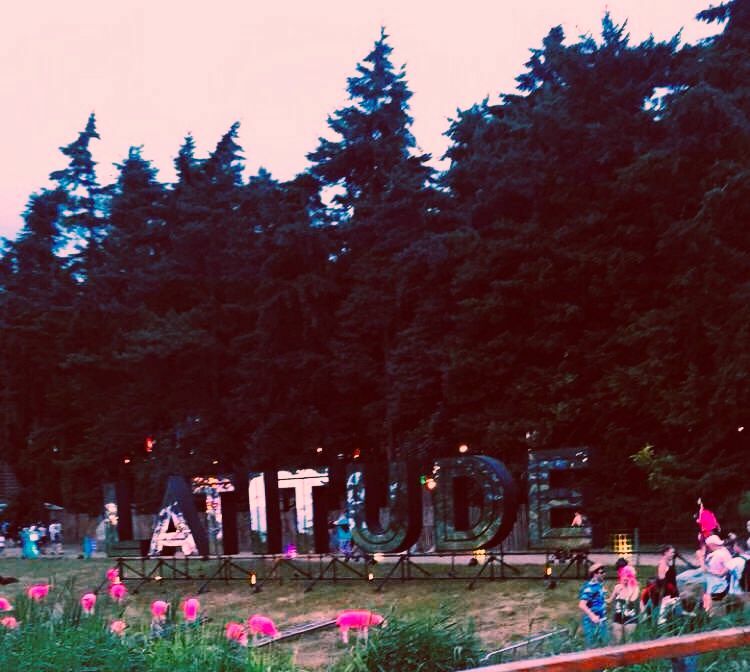 Latitude really is, and really was a great festival. 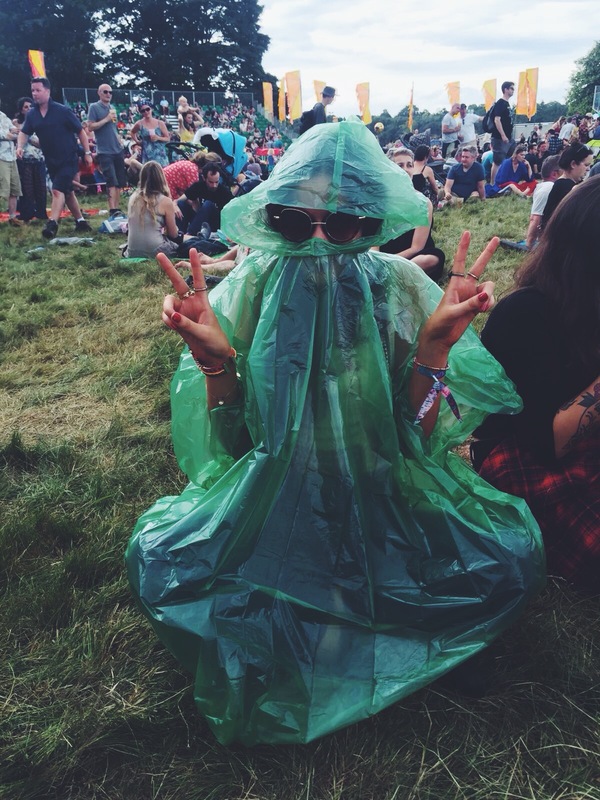 Have you been to any festivals yet this year? What's your favourite one?